We met through FaithWriters. I'd seen her on the message boards and sent an email that went something like this: "You're from Michigan? So am I!" A "meet & greet" was arranged and after lunch, laughter, and several hours, I came away fired up: this gal was a REAL writer. And now she was my friend. 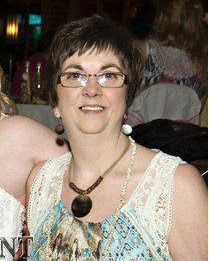 Allow me to introduce newly-published author, Lynda Schab. 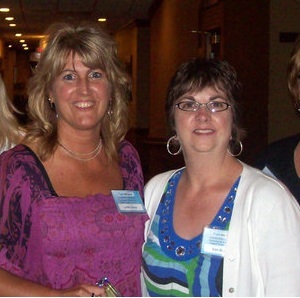 We don't get to see each other often, but hang out at the FaithWriters conference and get together when we can. She lets me pick her brain, is kind and encouraging, and has great hair. In other words: the total package. Lynda has recently published her first book and has been contracted for two more. 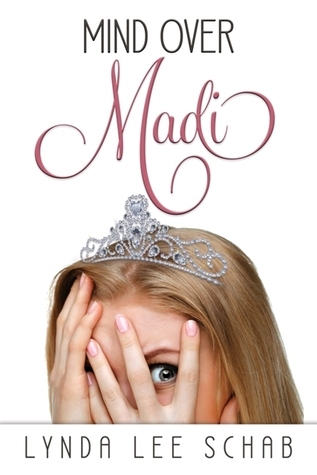 "Mind over Madi" is whacky chick-lit about a gal that everyone can relate to. A great read and oh so fun! Check out my review below then take a peek at Lynda's site for more info. You can also buy it at Amazon. Madi McCall can be a lot of things: Narcissistic, neurotic, and nutty. Queen of the Morons and Princess Pathetic. And one who thinks that denial is a river in Egypt. In other words, she is just like us. Before long, things get interesting as Madi jumps to conclusions faster than Super Man leaps tall buildings. Her insecurities get the best of her and her husband moves out of the house…and in with her detestable brother-in-law. Could it get any worse? Maxine has chanted a mantra of “all men cheat” for as long as Madi can remember. And even though her father eventually turned his life around, her mother isn’t about to let anyone forget what he did. And she certainly isn’t going to forgive him. According to Maxine, he is the culprit of every rotten thing that has ever happened and ruined her life. Maxine could win a medal in grudge-holding if it was an Olympic sport. Madi’s own issues ramp up as she ignores God and tries to ‘wing it’ which of course, doesn’t work out so well. It all comes to a head when she’s dragged to a class reunion she doesn’t want to attend. Everything snowballs out of control until Madi finally figures out she doesn’t have to do it all on her own. Lynda Schab’s fun and light-hearted tale could be anybody’s story. I found myself snickering at her predicaments (most of her own making), getting teary when the pain threatened to take her down, and letting out a cheer for her victories. All in all, Mind over Madi is a fun and entertaining read that offers a little hope for the moron in all of us.